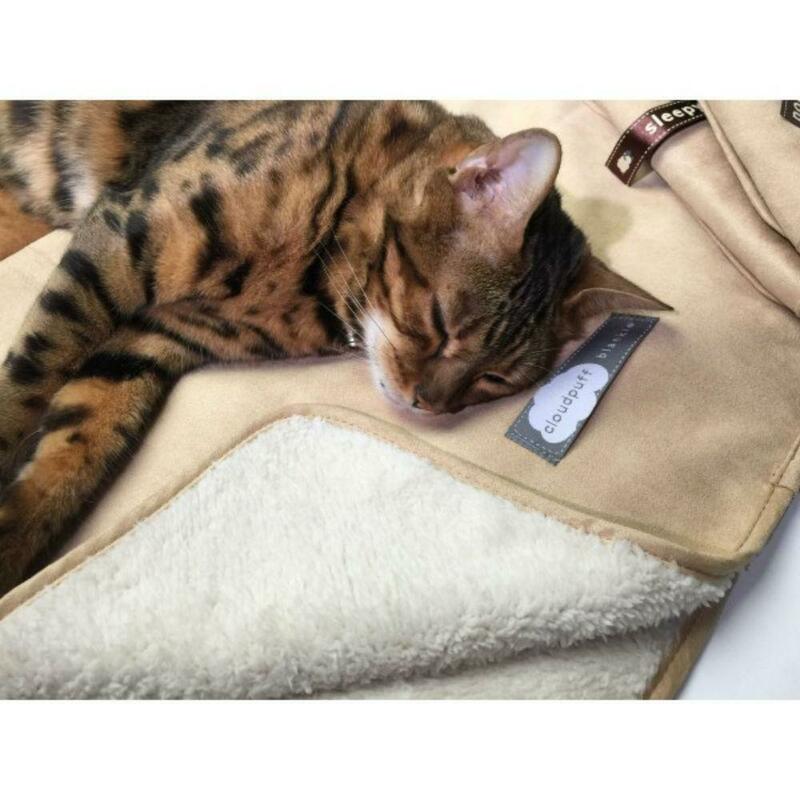 The Cloudpuff Luxury Pet Blanket By Sleepypod in Champagne is a comfy and stylish throw blanket to keep your favorite pet warm and cozy! This luxurious pet blanket has ultra-soft polyester shearling on one side, microfiber suede on the other side. Soft to the touch, this pet blankie can add comfort to your pet on the couch, bed, or car. It can also be used as a carrier liner. 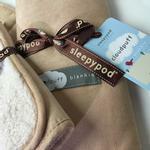 The Cloudpuff Luxury Pet Blanket is perfect for keeping pet hair off your car seat, bed, furniture and much more. Machine washable! M - Length 18.5", Width 14.5"
L - Length 20", Width 21"
I measured my dog and picked the size based on the guide on the site and the size was way too small so had to return it and order another - the snow suit seems perfect so I hope I got the correct size this time!